Calling all dog lovers!!! 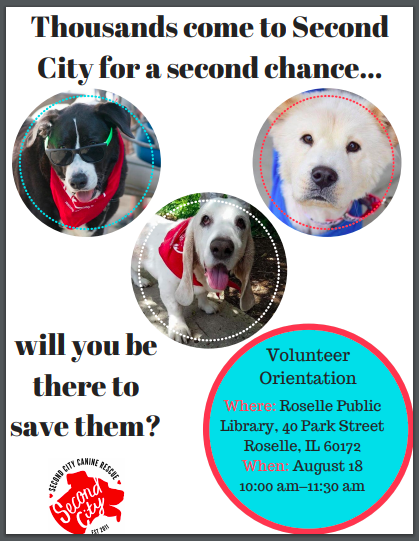 Come to our Volunteer Orientation to learn more about Second City Canine Rescue, what we’re about and how you can help rescue responsibly. This is a very FUN orientation held at the Roselle Public Library, 40 Park Street, Roselle on Saturday, August 18th from 10-11:30am in Meeting Room A. Hope to see you there!